Bevco offers a variety of highly-customizable chairs. As this OSHA (Occupational Safety & Health Administration) article about ergonomic seating attests "A chair that is well-designed and appropriately adjusted is an essential element of a safe and productive…workstation." 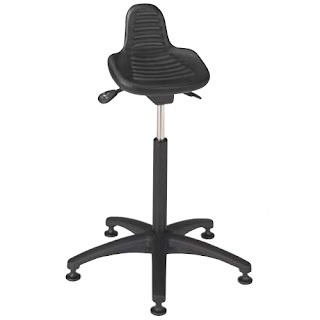 With the goal of helping you provide your workers with a safe and productive work environment, Q Source has added 14 series of Bevco Ergonomic Seating products to QSource.com. With 50 years of experience designing and manufacturing high-quality ergonomic chairs and seating solutions, Bevco offers an extensive line of highly customizable chairs for a number of varied applications. We've added hundreds of these seating solutions with the option for you to customize them for your office, laboratory, educational, or production environments. Among these Bevco offerings are seating solutions for ESD, cleanroom, and other critical environment applications. Bevco 1000 Series: Plywood Economic Seating – Durable, ergonomic industrial chairs at an economical price. Featuring color fabric or vinyl choices for seat and back cushion options. Bevco 2000 Series: Upholstered Economic Seating – Heavy duty, economical seating for production line and industrial applications. Featuring thick, durable, high-density foam. Bevco 3000 Series & 3000 Silver Series: Backless Stools – Comfortable, durable backless stools for office, medical, lab, assembly, and cleanroom applications. Featuring moderate cost and solid construction. Bevco 4000 Series & 4000CR Series: Upholstered Ergonomic Office/Industrial and Class 100 Cleanroom Seating – Two choices of ergonomic, economical chairs for applications ranging from production line and assembly to semi-conductor and medical device. Featuring durability for intensive use environments. Bevco 7000, 7000 Silver, 7000CR, 7000D, 7000E Series: Ergonomic Industrial and Laboratory, Class 10 Cleanroom, and ESD Polyurethane Seating – Polyurethane seating made to stand up to a variety of substances and for use in a number of challenging work environments. Featuring advanced ergonomics, rugged build, and ventilation ribs for increased comfort, air circulation, and easy cleaning. Bevco V4 Value-Line Series: Low-Cost Upholstered Seating – Quality upholstered seating that is easy to assemble. Featuring laboratory tested compliance to ANSI/BIFMA X5.1 standards. Bevco V7 Value-Line Series: Low-Cost Polyurethane Seating – Easy to assemble, durable polyurethane seating. Featuring laboratory tested compliance to ANSI/BIFMA X5.1 standards. Bevco V8 Value-Line Series: Low-Cost Static-Dissipative ESD Seating – ANSI/BIFMA X5.1 standards tested, easy to assemble, quality seating. Featuring static-dissipative build for ESD safety. All Bevco chairs are tested against multiple standards. 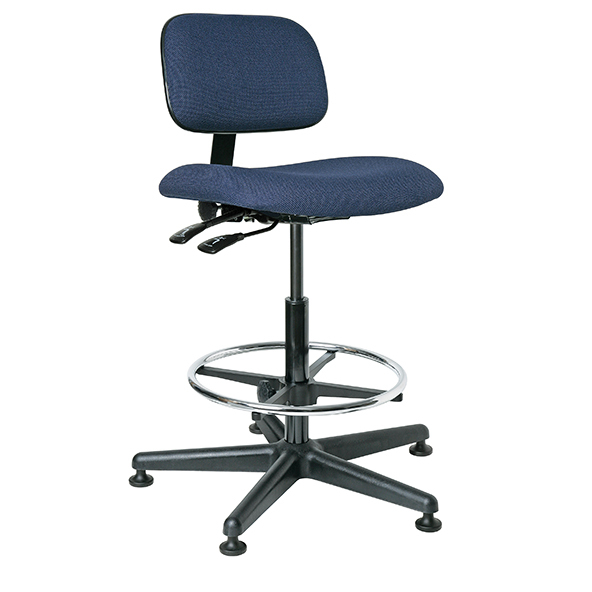 All Bevco chairs are independently laboratory tested and meet or exceed ANSI/BIFMA standards. Bevco fabric and vinyl meets or exceeds California technical Bulletin 117 for flammability. Bevco’s cleanroom seating solutions have been tested and meet the requirements of Federal Standard 209. All Bevco ESD chairs meet or exceed NFPA standards. Berkley Analytical Associates, LLC, based in California, have tested Bevco seating products and found them to meet the LEED-CI 4.5 standards for very low emissions of volatile organic compounds (VOCs). Bevco chairs are highly customizable. If you would like to make a change to a chair (colors, fabrics, casters, etc.) from QSource.com, or require further information about Bevco Ergonomic Seating products, please contact us via email or call 800-966-6020 and one of our expert seating consultants will be happy to assist you. If there's a product or topic you'd like to see The Q Source Resource write about please let us know. We'd also appreciate if you share this blog post with your friends and colleagues via the social media links below. If you have questions or comments about Bevco chairs or related topics please leave us a message in the comments section.